Built around Mont Royal, Montreal is a city of fine arts, good food and marvellous architecture. With affordable rent prices and a reasonably priced talent pool, the city is all set to grow as a technology hub. The number of technology startups in the city is steadily rising. The Information Technology (IT) industry grows and changes at a rapid rate. New technology quickly replaces old technology; professionals need to stay ahead of the curve by constantly acquiring the most technologically relevant skills. Zeolearn, is offering the React.js certification in Montreal to help enhance the careers of the technology savvy people of this city. React.js was initially developed by Facebook and is becoming the preferred choice for development of applications. It has numerous advantages over other traditional methods. React makes debugging applications very easy; it also helps in search engine optimisation. It is ideal for developing applications that involve constant changes in data with time. 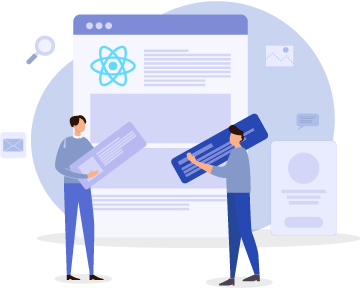 Candidates who register for the React.js certification in Montreal will receive step by step guidance by experienced tutors throughout the workshop. Expert trainers will emphasise on the practical aspects of the concepts learnt. Mentors will also periodically review the work of participants and provide feedback. Participants will also work on a project under the supervision of highly proficient mentors. React shortens the development time and increases the efficiency; therefore, it reduces the cost of the project. The academy is offering the React.js online course in Montreal at a very attractive price. Candidates who enrol for the React.js online training in Montreal can take up this coaching from the comfort of their homes. The React.js training in Montreal will include exhaustive material, lectures and practice sessions. The institute believes in complete client satisfaction; unsatisfied customers can refund their fee after the first demo session. Web developers will find the React.js training classes in Montreal to be highly suitable. Technology oriented students and entrepreneurs who envision a future in the IT industry can also benefit from this course.